I'm sitting here slightly battered after trying to insert the end of my handlebars into my chest cavity... but that's another story. Suffice to say, ibuprofen is a wonderful drug. Anyway, this time two weeks ago I was basking in the sunshine, indulging in the usual pre-ride faffing that you get when there are more than two mountain bikers trying to go out and ride together. I was probably slightly hungover, full of breakfast and looking forward to the first coffee stop 30 minutes into the ride. 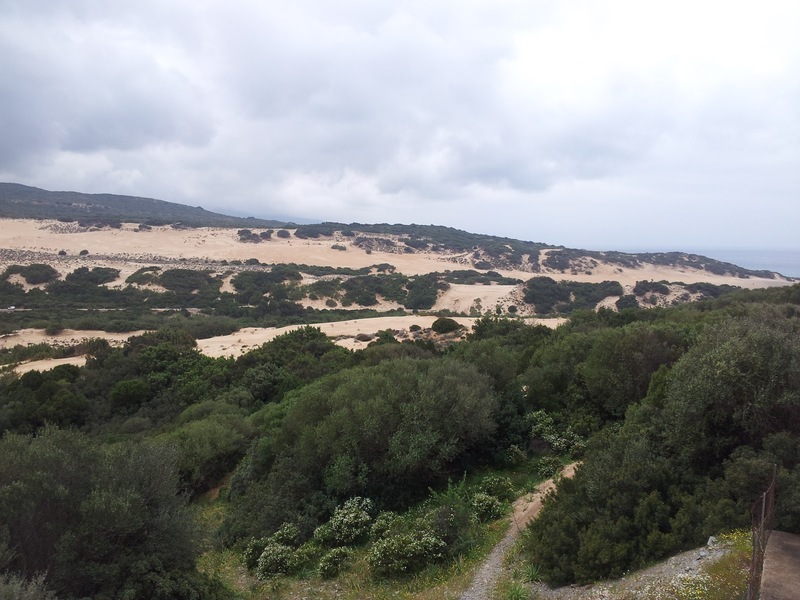 The whole idea of Sardinia was to do a bike trip that was actually (whisper it...) a holiday. Something where the riding would be fun, not too stressful and there was plenty of opportunity to relax and have a bit of a bimble. Compare that to the two bike trips last year - a week in the Italian Alps and Dolomites dragging myself up the big mountains, and a week in the French Alps dragging myself up the big mountains against the clock. Why Sardinia? Well, somewhere Italian was preferred due to a love of coffee, gelato, pizza and Italian food in general. It had to be warm, it had to be about a week long, it had to be an easyish grade and most importantly it had to fit the schedules of two people - David (Pyrenees, Dolomites, Haute Route) and me. Brochures were studied, calendars cross-referenced until we finally found a trip that would work - the Saddle Skedaddle Sardinia Coast to Coast. The start to the trip was brutal - getting up at 2:45am! Still, the roads were clear, the check-in was hassle free and we were soon greased up and inserted into the spaces that Easyjet calls seats. We met a couple of the other riders at the other end, along with our guides, and were then dropped into the centre of Cagliari to wait for the rest of the people coming in on other flights. Cold local beer? Oh, go on then. Our trip started for real at Montevecchio, at a Agriturismo (farm stay). This one had a pool which came in handy for building the bikes around. It was a little cloudy and a little windy so we avoided taking a dip and made ourselves at home in the bar. Dinner was a preview of what we'd be eating all week - cured hams, salami, cheese, bread, grilled vegetables, wine and beer. And that was just the antipasti. Then came home-made pasta, braised lamb, salad, fruit and liqueurs. Mmm, Limoncello. Only a couple though, for tomorrow we ride. We were staying at Montevecchio for two nights so there was no need to get luggage ready or load up the van. Still, despite the fact we'd built the bikes the previous night we somehow managed to leave about an hour later than scheduled. Adjusting saddles, polishing frames, ensuring valves and tyre logos lined up. We were in Italy - we had to look good. The ride started with a gentle rocky climb, with a moderate rocky contouring, followed by a YOU WANT ME TO RIDE DOWN THAT? Yes, it may only have been a moderate grade trip but it was time to drop the saddles and get our rocky descent heads on. We don't have rocks down our way so my rocky descent head hadn't been used for a while. I managed to pick up a flat on the first descent - Giant seem to use cling-flim as inner tube material on their off-the shelf bikes - but made it down without too much incident. There were a few cries of "ohshitohshitoshit" behind me which I think was a comment on the trail rather than a comment on my riding. The second descent was slightly harder - tight, slow and twisty rocks - but all still ridable for an XC numpty like me. Part two of the day was the famous 23 river crossings trail - something that I'd done 10 years before on my previous visit to Sardinia. It may have been 23 crossings but it was a single river, thankfully more of a stream. We had a whale of a time splashing through and astonishingly, with 9 x 23 crossings in total no-one fell in. We were all mildly moist by the end though. The route came out near the sea, close to the biggest sand dunes in Sardinia/Italy/Europe/the World (delete as necessary depending on tourist hype). From here there was some up, some down, some trail, some tarmac, some lunch - cured ham, salami, pasta, cheese... you get the idea. We had two options after lunch - the long, off-road climb or the easier tarmac route back. It was day 1 - of course we took the climb. It was fabulous - steep enough so you knew you were climbing but no so steep that there was any danger of having to stop. It went on, and on, and on. What goes up went down (slightly - our agriturismo was on top of a hill) and then we had the fun of another off road climb, another descent and finally 10km of up on tarmac.